6. How Do You Become A Christian - a follower of Jesus? If you want to turn to God there is no need for delay. God is ready and willing to take you as his own right now. You only have to ask him to forgive you and to give you help on the journey ahead which he will do by giving you the gift of the Holy Spirit. It is a nurturing and personal partnership between God and yourself. The act of deciding to change course in mid-life, is what is called conversion. 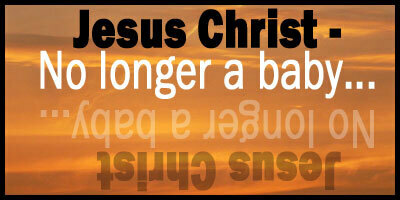 You may also know it as being born again, or deciding to be a Christian. When you place your faith in Jesus, becoming utterly dependent upon Him, you turn to God. That means that you have changed your intentions in the way you are going to live in future. Until you enter into a personal relationship with God, sin (all that which alienates you from God), controls your rebellion against him. This sin is seen in your attitudes and your activities. God asks you to accept his management and guidance of your life. When you do that, God’s point of view and his strength become your point of view and your source of strength. You turn your mind, will and heart to him for all you do. Admit that you have done wrong against God and his ways and turn away from those attitudes. Believe and trust in Jesus as your Saviour from the consequences of the anger of God towards you and your tendency to sin. Call on Him, receive, trust, obey and worship Him, recognizing him for who he is and what he has done. Accept the Holy Spirit of God into your life as the major motivating force for what you do. Once sin has been confessed, Jesus is believed in and trusted as Saviour and the Holy Spirit has entered your life, then you are a Christian. Why is guidance from God needed? What is stopping me from becoming a Christian? If you have made this decision to become a Christian, please to make a comment below or use the contact us form on this website! It will be great to hear your news! 5. No Longer A Baby - Was Jesus Christ Simply Just A Good Moral Teacher? 5. Was Jesus Christ Simply Just A Good Moral Teacher? Today we have another question? Was Jesus Christ simply a good moral teacher, and nothing more? It is often a statement often associated with Jesus Christ, that he was simply a good moral teacher. Nothing more. Nothing less. This thinking is also untenable and unworkable. How so? We start by asking ourselves, if Jesus’ teaching reflects a good way to live, and if they do, what did he teach? Jesus’ moral code, revolving around the part of the Bible we call the Old Testament, can be summarized as “do to others, what you would have them do to you, for this sums up the Law and the Prophets.” (Matthew 7:12). Some people refer to this as the “Golden Rule“. However, Jesus with greater insight went further than anybody else. He goes on to say that it is not only the outward actions of a person that makes them morally good, it is also the internal attitude behind it (Matthew 15:17–20). People often think Jesus’ Sermon on the Mount is the most wonderful teaching and therefore think Jesus was a great teacher (Matthew 5-7). But they have not understood what he was saying, and why he said it. Therefore, while this may indeed be the best-known teaching of Jesus, it is quite possibly also the most misunderstood. It is most certainly the least obeyed of all his teaching. Again, how is that so? Quite often today Jesus’ Sermon on the Mount is seen as mostly a call not to react violently even when faced with direct provocation. However this was never Jesus intention. It was never meant to be a group of general guidelines for our comfort to wallow in. Nor was it designed to give us boundless joy in how good we are being! Upon reading this teaching of Jesus, we see that Jesus’ original intention for this teaching was that it was to reflect the values, standards and priorities of God’s Kingdom. This is what Jesus was talking about when he gave the “Sermon on the Mount”. Certainly Jesus was a good moral teacher! Moreover, was he simply a good moral teacher or was he more than this simple claim? To assert that Jesus was merely a good moral teacher, nothing more and nothing less, is a foolish thing to think or express. Nobody could do or say the things that Jesus did, and not be who he said and showed he was: Almighty God. 1. Why do you think that Jesus would be more than just a good moral teacher? 2. Have I ever failed my own moral code? 4. No Longer A Baby - Why did God become a human? 4. Why Would God Become Human? A natural question now follows. Why would God become human? God Himself has taken on the responsibility for our sins. Jesus when he died on the cross bore our sins. Although he was sinless, he therefore became sin for us. By doing this, we are drawn to him in a personal way. God has shown that he loves us and wants us in a relationship with himself. God is one and therefore there could only be one incarnation - that is God taking on a human form – fully God and fully human. 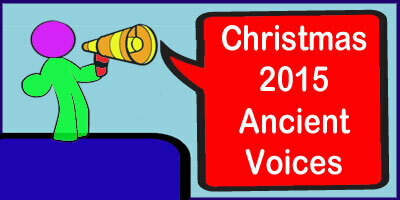 By doing away with the incarnation, could God’s salvation plan be fulfilled? No way! If Jesus was not fully God, then he would be part of the problem and therefore need to be redeemed himself! That would not work as there then would be no possibility of redeeming humanity so that they could have relationship and fellowship with God. God Himself has bridged the gap between the supernatural and the natural, the infinite and the finite. God did this to show humanity what he is like. Jesus as God in person gives us a focal point to respond to. God does not force people to love Him, for that would not be love. His love is compelling but it is not coercive. God does invite all into a dynamic relationship with him. Clarification can be seen through reading the Bible. We also know Jesus’ full glory was hidden during his time on earth (John 17:6) and that he lived on the resources of his Father (John 5:19-20 & 30, 14:10). Jesus emptied Himself (Philippians 2:5-7) and was made like us (Philippians 2:7) when he became human (John 1:4). If Jesus Christ was not fully God and fully human, then he would be part of the problem. Therefore he would need to be redeemed himself! Simply put, that is untenable and unworkable! Jesus whilst being fully God, didn’t lose any of his divinity when he became human. Instead Jesus Christ gained humanity and we call this divine and human nature unity - a ‘hypostatic union‘. 1. Why would Jesus need to be have been simultaneously both fully God and fully human? 2. What does having a dynamic relationship with Jesus mean? We looked very briefly yesterday about Jesus being fully God. Today we go further and investigate very briefly at Jesus being fully human. That Jesus was a man who existed is not really disputable. There are a large variety of documents from that period of time about Him, including many and various sources outside the Bible. The primary historical documents about Him, the Bible, state Jesus Christ was born of a woman, which in itself tells us that before he was born he was nurtured and formed as any other male baby was and is. His genealogical line is given and he grew into maturity as any young Jewish boy did. These documents we know today as the Bible books Matthew, Mark, Luke and John. We know from these four ‘biographies’, or gospels, written about him, that in line with his humanity, Jesus exhibited normal human emotions. Emotions such as love, sorrow, joy, anger and anguish. Jesus ate and drank. He had a body and a soul. Jesus grew tired. He slept & perspired. He wept. Jesus died just as all mortal people do. Religiously, Jesus worshipped as a Jew. It is quite clear that the four gospel writers, Matthew, Mark, Luke and John, considered Jesus to be human in the ordinary every day sense of the word. Particularly Matthew and John, who were two of Jesus’ closest friends. Jesus Christ was human in every way that we are – physically, mentally and emotionally. The only possible exception to this is that Jesus was sinless. How do we know that for certain? Because if Jesus was not without sin, if he had sinned, he too would have been in need of a Saviour! God’s salvation plan for humanity would have been scuppered. Remember that is why Jesus Christ was sent – to fulfil and enact God’s salvation plan for humanity. It is the very clear testimony of all the New Testament writers that Jesus was the Saviour, and not in need of one Himself. So why does Jesus need to be fully human? Firstly, so Jesus could align Himself with us by being our representative before God, so that his death could turn aside God’s anger at our sinfulness. Secondly so that Jesus can be in sympathy with us and pray for us. Thirdly, so Jesus could exhibit true and perfect humanity. Fourthly, so that as a consequence of his perfect humanity, Jesus is the perfect example for us to follow. In Jesus Christ, the God-man, we see that God is a personal God. A God who wants to interact with us and communicate to us! WOW! Tomorrow we will go on to see the reason for God needing to become a human. Yesterday we looked at what the name Jesus meant and how it was appropriate that he was called that. Today we are looking briefly at Jesus being fully God! God’s salvation plan for humans’ involved triumphant victory over sin, death and the grave. However no person could be found who was eligible or capable enough to do this. So God stepped into human history, so that this victory could be achieved. This is what we celebrate at Christmas. This God-man would be fully human, so as to live every feature of humanity, including suffering and death. This God-man would also need to remain fully God, so as to be big enough and powerful enough to defeat sin, death and the grave. A human could only die for their own sins. However God could die for the sins of all humanity. Jesus, being sinless, was this God-man, consisting as he did of two complete natures, the God nature and the human nature. Jesus Himself claimed equality with God when he forgave people their sins (Matthew 9:2; Mark 2:9; Luke 7:48). The Jewish rulers reckoned this was a God alone thing and dependant on the involvement of the temple authorities. They therefore accused Him, at least in their minds, of blasphemy against God! That Jesus is both human and divine is what makes Christianity unique amongst the religions of the world. It is why Jesus’ claims to be the only way to God, are true. Of course this is only a brief synopsis of what the Bible affirms about Jesus being fully God! Be encouraged to study this exciting topic for yourself! Come back tomorrow to see how we go on to discover together, much more about this most amazing of men - the full humanity of Jesus Christ! I wonder what your name means. Parents often name their children after the hopes and aspirations they have for that child. For example, I know somebody called Grace, and her nature is full of grace. My name, David, means “beloved”. When my parents named me, it was meant to symbolize the love they had for me. Although when I put the cricket ball through the kitchen window or the time I crushed the vegetable patch whilst running after a football, I did not feel very beloved afterwards! When Jesus was born, his name expressed the very reason he was born. His conception and birth were extraordinary at every level. Do you think that his parents ever gazed upon him, and thought “How misnamed he is”! They did not, because they knew the very purpose for which he was born. Did Jesus ever think of how misnamed he was? Certainly not! For Jesus’ name means ‘the one who saves’ or ‘a rescuer’. In light of this, Jesus knew his purpose and his mission (Luke 4:42-44). Jesus Christ’ whole birth, life and death were centered on saving all those who would follow him. He is the most talked about person in history. Almost everyone has an opinion about him. Jesus Christ was born to fulfill the promises God had made over many years. You can read them for yourself in the part of the Bible we call the Old Testament. Jesus Christ came to reveal God as a Father, to die instead of us for the punishment we deserve, in order that he may stand before God on our behalf and also to show us what it means to live a holy and perfect life here on earth. The life of Jesus Christ was a life totally dedicated to obediently following God and revealing God to the world. Such was the impact of the person Jesus Christ. Jesus Christ was not merely a man who received some special power. Jesus Christ was not some strange creation that was half man and half God, with his human nature somehow absorbed into the divine. Jesus Christ was much more than these suggestions! Come back tomorrow to see how we go on to discover together, much more about this most amazing of men!